A text and graphic snipping tool that allows taking snips of a PDF file, rectangular areas, or the entire page. Snips can then be cut and pasted to other windows using a mouse, saved as an image file (PNG, GIF, JPG, BMP, or TIFF file), or a web page (HTML file), or a plain text (TXT file), or e-mailed, or sent to other applications such as Word, Excel, PowerPoint, Publisher, Visio, Photoshop, Illustrator, CorelDraw. 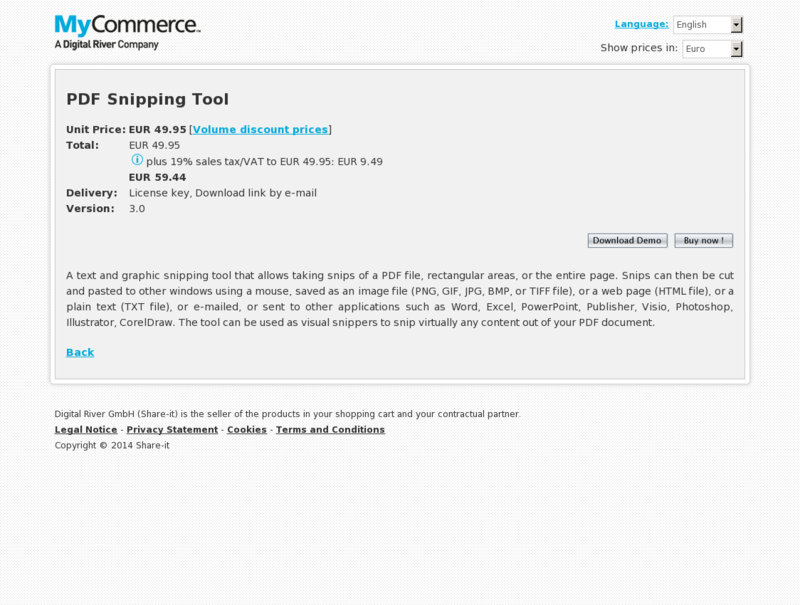 The tool can be used as visual snippers to snip virtually any content out of your PDF document.